Any trained medical professional will agree on how very important it is to take essential medication on a timely and consistent basis. If it isn’t, there could be severe consequences for the person who needs it. 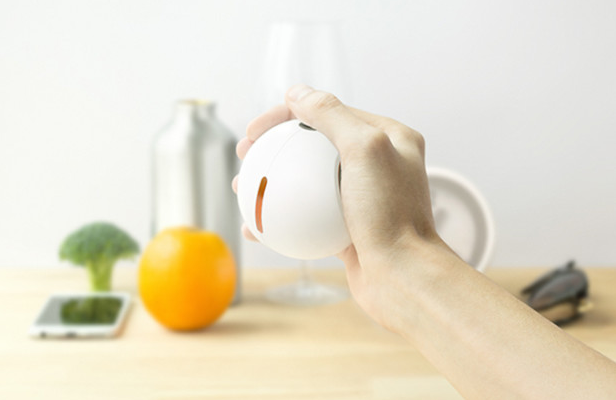 With that as the central idea, the folks behind the Amiko have created a wearable device that acts as a personal medication assistant, connecting to a wide range of inhalers to help make sure medication is being taken correctly and on time. The product comes as a small but attractive leaf-shaped attachment that clips on to a wide range of inhalers. Onboard MEM sensors are highly tuned to track when the inhaler is loaded, how it is positioned pre-delivery, and upon actual delivery. These values are all combined to create an accurate and thorough view of dosage trends and can even be used to create reports for physicians to use in their treatments. Perhaps its most valuable capability, however, is the ability to be connected to smartphones and tablets to alert users and family about upcoming or missed doses, keeping everyone in the loop. If that person happens to be technologically averse, the company’s Amiko Hub ($79) allows non-smartphone users to still receive alerts from the product itself, family members, or caretakers. Amiko’s early bird special is currently going for $39 with a $10 premium on it when those supplies run out, with an expected delivery date of March 2015. The folks behind Amiko are looking for an infusion of $50,000. Amiko is a very promising device not in just what it does, but in how it uses the cloud and the various connectivity options it has to make a process that can be potentially life-threatening so much less stressful. It extends wearables to a market that needs it beyond the fitness enthusiast.